Paper*Cakes Finds - Your Daily Dose of Handmade Eye Candy: A Weekend Giveaway with Elle's Studio! A Weekend Giveaway with Elle's Studio! Elle’s Studio has just released 36 new items that are perfect for spring and summer! There is a ton of fun stuff to see, including: a full vintage Sweet Summer line, expanded birthday and baby items, stamps, atc sized journaling tags, larger circle tags, tiny tags and MORE! 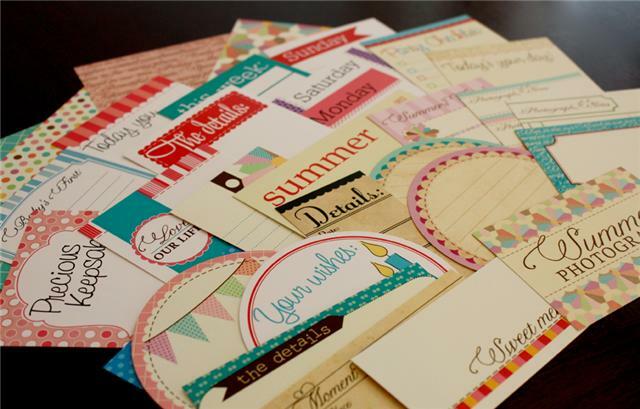 Don’t miss all these amazing items – they are a must have for cards, layouts and mini albums! For more from Elle's Studio, check out their blog or join them on Facebook. Sneak peek of the banner we will be featuring on the Elles Studio blog next week with a full tutorial!! Prize: One winner will get to choose any 4 items from elle's store! To Enter: Visit Elle's Shop and post your favorite item in the comments. For additional entries you can tweet, blog, or facebook the giveaway. Please leave one comment for each entry - entries are unlimited. Contest closes on Wednesday. Her shop is very cute. I like the vintage note circle tags. Date and Place Strip - vintage. Gorgeous. I really like the 'Moment To Remember Tiny Tags' - they would be perfect for my photo albums! My favorite is the candy shop journaling tags. But I love everything in here shop. Love their shop. Mostly I love te colors of all their new summer stuff like the large circle journaling tags espcially the one with the flags. It was a great surprise to discover this shop! I like the Cut Outs: Vintage Baby labels! I like the whole Sweet Summer line and the Moment To Remember Tiny Tags. I'm a huge Elle's Studio fan! Love any of the journal spots they make!! My favorite item is the Chic Date Clear Stamp! I love the Vintage Note Journaling Circle Tags and the Moment To Remember Tiny Tags. So sweet and nostalgic! I love all of the vintage flashcards. I like the Cherries and Strawberries Journaling Tags. Cute! I really like the Sweet Summer Note Tags! They are so cute! The Cut Outs: Love My Dog - green/blue are a treasure for us who have dogs, I just rescued 2 from our APL and these cutouts would be a treat for me! My favorite item was the set of Triple Scalloped Large Journaling Circle Tags! I can see using them for gift tags! I love the XOXO Never Ending Borders Stamp. Cute! I love the happy birthday stamp and the vintage notes circle tags!!! my favorite is the never ending borders stamp!!! too cute. 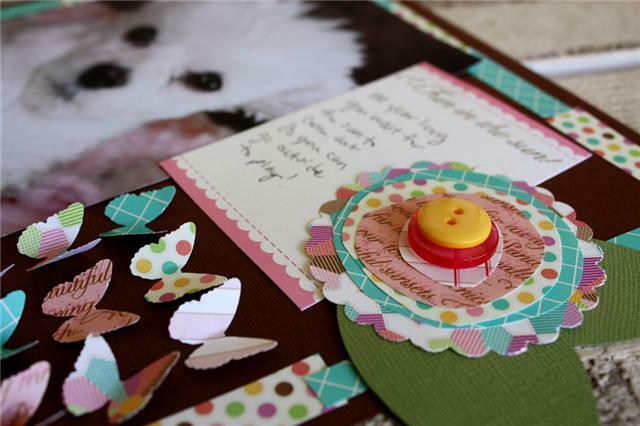 My favourite item is the sweet summer journaling circle tag set - just gorgeous! I love all of the journal tags, so cute. Lovely and fun shop!! My favorite is definatly the Sweet Summer Circle Tags!! those bird note tags are so cute! 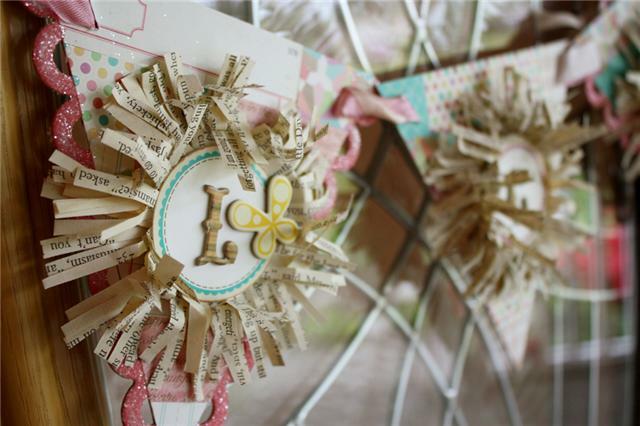 I love the Triple Scalloped Large Journaling Circle Tags. I am totally in love with the "A Sweet Summer Stamps"!! Love love love them!! And then basically anything Elle's does is a favorite of mine! Can't wait to see the full banner in all it's glory, it sure looks gorgeous!! I love the "XOXO Never Ending Borders Stamp"! Love everything, so hard to choose a favorite. One is pieces of life note tags. I like the XOXO Sweet Word Circle Tags! Thanks for entering me into this giveaway. The details tags are my favorite! Thanks for the giveaway and good luck to everyone! I LOVE the Month to Month Baby Tags - blue!! I'm due with baby boy #2 in July! hi and thank you for the chance to win! looking forward to the banner tutorial! i really liked the vintage calendars...that would be fun to incorporate in a new yrs eve page! Fabulous stuff, I liked everything; one of my favorites though is the - A Sweet Summer Journaling Circle Tags (LARGE) set of 6. Simply lovely. I love Elle's shop. I saw her at the CKC last year and she is right near where i live. YAY!! I love the A Sweet Summer - Tiny Tags - set of 10. I would love to win. I love the Sweet Summer journaling tags! I love the bird note tags! Super cute! Love the Digital Download: Vintage Valentine Banner. 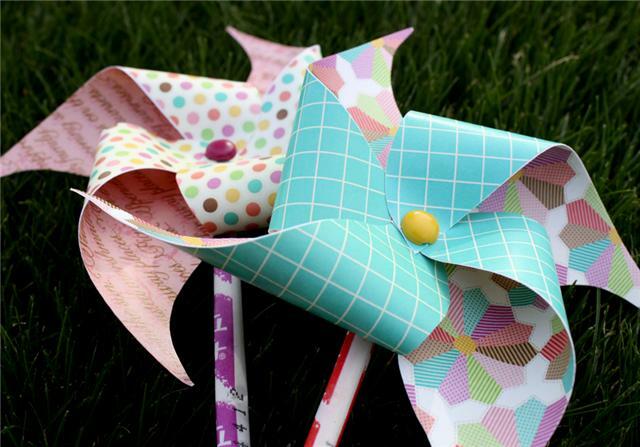 Love the Sweet Summer mini papers and the journaling tags!